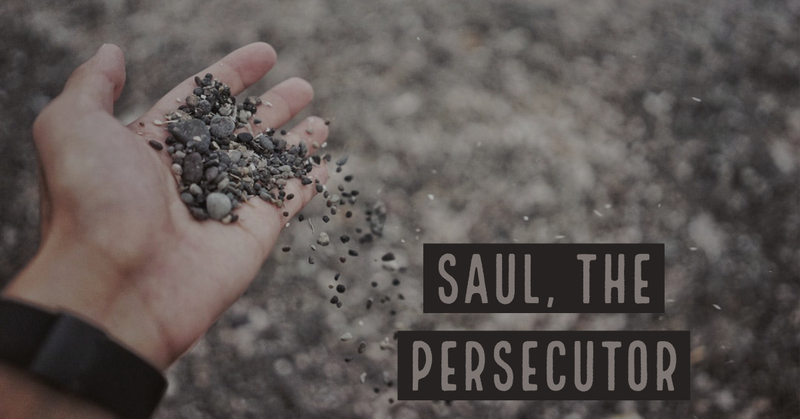 Check out Saul, The Persecutor! 3) For what specific “crime” did the Jews desire Paul to be jailed or put to death? Then Paul stretched out his hand and began his defense: 2 “I consider myself fortunate, that it is before you, King Agrippa, I am to make my defense today against all the accusations of the Jews, 3 especially since you are very knowledgeable about all the Jewish customs and controversies. Therefore, I beg you to listen to me patiently. 4 “All the Jews know my way of life from my youth, which was spent from the beginning among my own people and in Jerusalem. 5 They have known me for a long time, if they are willing to testify, that according to the strictest sect of our religion I lived as a Pharisee. 6 And now I stand on trial because of the hope in what God promised to our ancestors, 7 the promise our twelve tribes hope to reach as they earnestly serve him night and day. King Agrippa, I am being accused by the Jews because of this hope. 8 Why do any of you consider it incredible that God raises the dead? 9 In fact, I myself was convinced that it was necessary to do many things in opposition to the name of Jesus of Nazareth. 10 I actually did this in Jerusalem, and I locked up many of the saints in prison, since I had received authority for that from the chief priests. When they were put to death, I was in agreement against them. 11 In all the synagogues I often punished them and tried to make them blaspheme. Since I was terribly enraged at them, I pursued them even to foreign cities. Paul shows respect for King Agrippa and his position (1 Timothy 2:1-2). He also considers it to be in his favor that Agrippa was quite familiar with Jewish laws, customs, and “was not ignorant of the beginnings of Christianity”. (E.F Bruce & S Kistemaker) Paul knew how to present his case, and the gospel, by combining courtesy and respect with truth. It was important Paul established his religious roots and rich background as a well-respected Jewish Pharisee to the king because Agrippa himself was “very knowledgeable about all Jewish customs and controversies.” (verse 3) Paul leveraged their common ground to not simply further his case, but to share the gospel. Paul wanted King Agrippa to see his conversion and ministry set against the backdrop of his early history as an orthodox Jew, adhering to the strictest party, the Pharisees. Paul’s opponents knew his past as well as his current identity and were able to examine his personal life. “All the Jews know my way of life from childhood on.” (verse 4) Paul was not afraid to confess who he had once been as he worked to blast Christians out of existence. 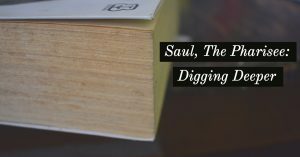 Saul “had an obsession against Christians”. 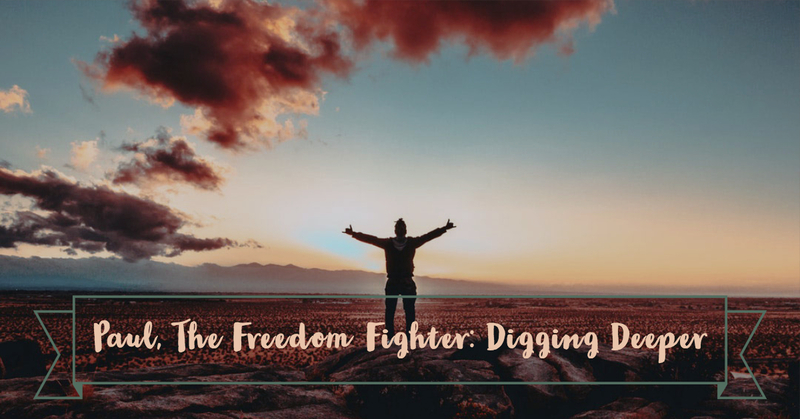 (E. F. Bruce) Paul hid nothing, instead, he allowed his transparency to speak volumes of the genuine, real power of the gospel to radically transform him. (Galatians 1:13) Once his background and authenticity had been made abundantly clear, Paul shares of his dramatic conversion to Christ, bringing him full circle as to why he was now being persecuted and jailed for preaching Christ. Many Jews (not all) rejected Jesus as the Messiah the prophets had prophesized would one day come to rescue them. They missed Jesus because He wasn’t the rescuer they were looking for. They wanted an earthly rule and reign. They wanted a powerful king to crush their human enemies. To them, claiming Jesus to be Messiah was blasphemy. Paul turned his back on everything he had once believed because Jesus appeared to him, redeeming him, and making him new. His eyes were opened to see that all prophetic content of the Old Testament was fulfilled in the suffering and resurrection of Jesus the Messiah. Paul could not deny that power belonging to any but God alone, and he gave his life to preaching the hope of the gospel, despite the cost. As Paul considered it “fortunate” to have the opportunity to share Christ with such an influential person, we too should evaluate our everyday opportunities where the Lord has given us favor in relationships to share the hope of the gospel. As believers, we are commissioned to boldly share the Good News of Jesus Christ. With authentic transparency, we can point to our past and who we once were, in order to profess how we, upon seeing the light from heaven, the shekinah glory of God Jesus Christ, were transferred from the Kingdom of Darkness into the eternal Kingdom of Life and Light. 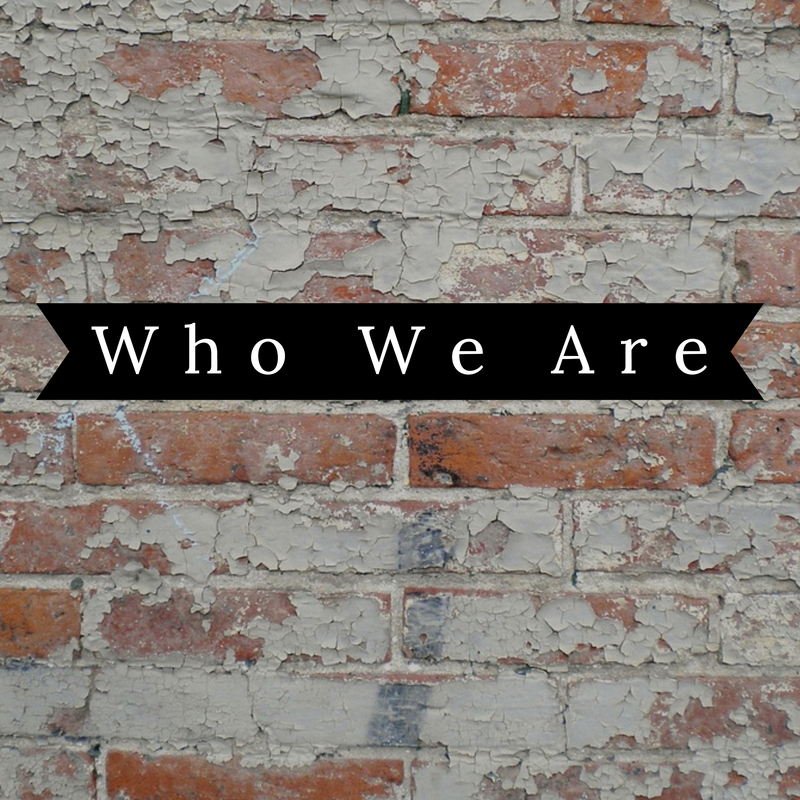 Using the foundation of our past background, just as Paul did before King Agrippa, we can share the gospel as we witness to all, believers and non-believers alike. Yes, our testimony can encourage believers too! As Christians, we all struggle; having a sister or brother come alongside and give testimony of the power of the Savior will breathe fresh reminders of truth as we journey onward. Paul appealed to a commonality between himself and King Agrippa as a platform he could use to share his faith story. We can do the same! Engage with others, ask questions, listen to their answers, and look for common ground you can use to share Christ! 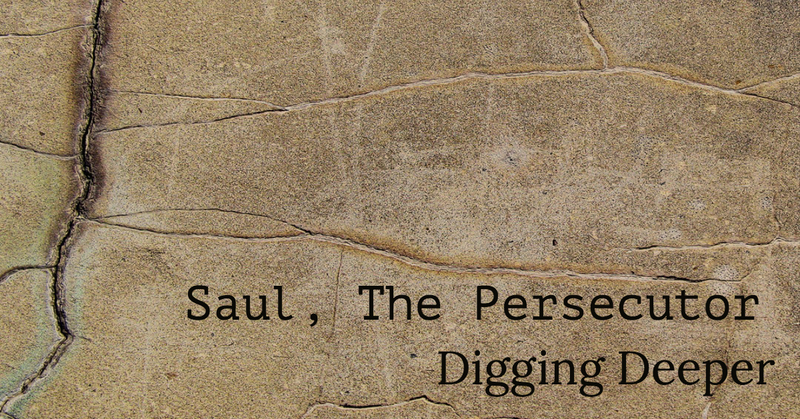 Catch up with Saul, The Persecutor! This is Sketched V Week One! Somehow the prisoners had escaped! Not only had they escaped, but they had literally returned to doing exactly what I had imprisoned them for in the first place: preaching in the name of Jesus. Even now the guards were returning to the Temple to bring them back before the Council. What level of geniuses are we dealing with? Obviously, they are not in their right minds to disregard the commands of this authority. We are the teachers of the Law. We decide if you are in good standing before God. The more I thought about their disrespect of our authority, the angrier I became. A few of the members of the Council laughed about a recent happening in the marketplace as we waited, and I caught the eye of the man facing me. I’m not completely sure what my facial expression communicated, but the smile on the other man’s face dimmed and their conversation dropped several decibels. Maybe idiots aren’t only outside this group. Scandalous disrespect for the Torah and our traditional laws is no laughing matter. When the guards arrived with the prisoners in tow, I stared at the leader. If I caught his eye, maybe I could convey a similar message to him as I had to my compatriot. I intensified my gaze and straightened my spine. The high priest questioned them as to why they had disobeyed their previous orders to stop teaching in the name of Jesus and the leader had the gall to promptly reply that they were obeying God rather than man. We are the authorities God put in place. We are the ones who know the texts and are required to implement them. Who is this man that implies he has heard from God and we have not? Suddenly Gamaliel stood and directed the guards to take the men outside. Once the doors were closed, Gamaliel addressed the group and suggested the men be released. He reasoned that in previous uprisings of this sort, incidents faded away once the leaders were gone. He instructed us to remain out of the scenario just in case they truly were speaking for the Lord. Gamaliel is a well-respected, wise man, but my anger burned at his plan. These followers had already proven disregard for our authority, and I did not foresee that changing if we simply let them go. Thankfully, someone echoed my thoughts and agreement arose to flog the prisoners before releasing them. I barely controlled myself. Flogging? I scoffed under my breath, these traitors deserved nothing less than death. Some time later, I found myself once again sitting among Council members as another follower stood before us. Stephen was his name. Accusations against him had been raised and we’d called him before us. The high priest asked him for the truth and suddenly I found myself listening to a history lesson. How degrading to have such a lesson from one so inferior. He covered the gambit from Abraham to Joseph to Moses to King Solomon. The atmosphere in the room shifted. Necks went red and white knuckles appeared. The first man stood up and growled low. He broke the floodgates and a wave of men drove Stephen to the city gates. I hurried along with them, grateful my thoughts paralleled those around me. Death was coming quickly for this heretic! Once we cleared the city gates, the men began shedding the robes and entrusting them to me. If this enabled them to more accurately select their stones and aim well, I would gratefully take care of their robes. I would be a unifying player in the destruction of this uprising. As the stones flew, meeting their mark. 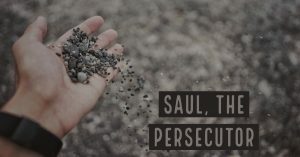 Stephen cried out, “Lord Jesus, receive my spirit!” He fell to his knees and cried once more, “Lord, do not hold this sin against them!” The thud of stones hitting soft flesh and others colliding mid-air lasted only minutes. As the rage lessened and the evidence of the stoning’s success was apparent, the men gradually returned to me and gathered their robes. They dusted them off, pulling them back on as though this was any normal day’s work. He asked God for forgiveness. I shuddered at the thought, at all the thoughts that began swirling much too close to the surface, bringing a heaviness aching in my chest. Hatred for Stephen and all followers like him silenced the thoughts. Determined, I turned my steps back to the Temple. Stephen would not be the last to learn their proper place at my hands. 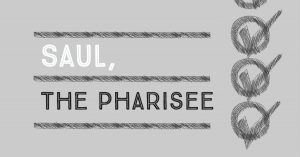 Check out Saul, The Pharisee! 2) Why is Paul explaining his heritage? What does it have to do with his point? 3) What contrast is Paul trying to explain in this passage? 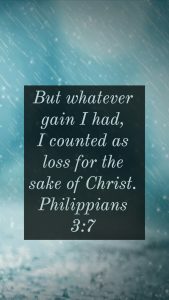 In this passage, Paul writes a letter to the Philippian church to encouraging them to live in the truth of the gospel and let nothing stand in the way of a life fully devoted to the Lord. 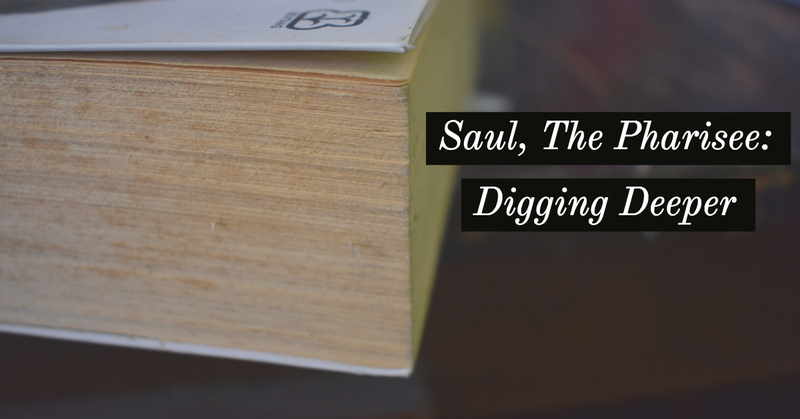 As Paul brings his letter to a close, he gives a personal story of his own walk with the Lord in his conversion from Saul to Paul explaining where he has come from and what he now knows to be true. He gives warnings about lies to watch for and encouragement to stand firm in truth. Paul gives an account of his pedigree because he was among the elite within the Jewish religious leaders. He was considered by the average person someone who was closer to God because of his status and his outward appearance of merit. 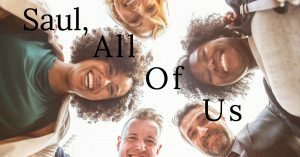 But in this passage, Paul details his lengthy list of qualifications that humans would point to and elevate him for the purpose of discounting all of it because he knew that when it comes to the gospel, pedigree and accomplishments mean nothing. These verses are one snippet of Paul’s argument in this letter. The point he makes is, despite all of his education and religious fortitude, in light of the gospel, true salvation is the most important thing. True salvation recognizes that no “thing” or personal “goodness” is fit to award us merit for salvation. We can only be saved through Jesus’ work on our behalf. Nothing we do matters to gain salvation. 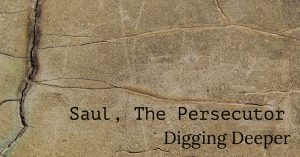 Saul was the “perfect” Pharisee, but was spiritually lost and separated from the one true God. He is warning the Philippians to not put trust in the things of the flesh and the world, because those things are irrelevant in the Kingdom of God. The contrast comes in understanding the things of God and pursing His ways versus pursuing the things of this world and relying on ourselves. Don’t be confused by religious labels but seek true salvation! There were times in my life where relying on the fact that my parents were Christians seemed okay. 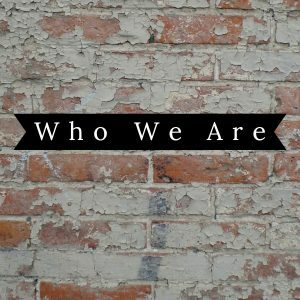 I have a heritage of Christianity in my family, which somehow made me feel okay before God. Paul, in this passage, is clearly saying your pedigree, your degrees, your status, even your family history does not matter in the light of the gospel’s truth. The world then and now gives the message that obtaining things and status are the most important goals to pursue and Paul is reminding us those things mean nothing to God. Being labeled religious means nothing if there is no heart change to back that up. Knowing Christ and having a relationship with Him is the foundation from which everything should flow. Faith in Him should matter most in our life. 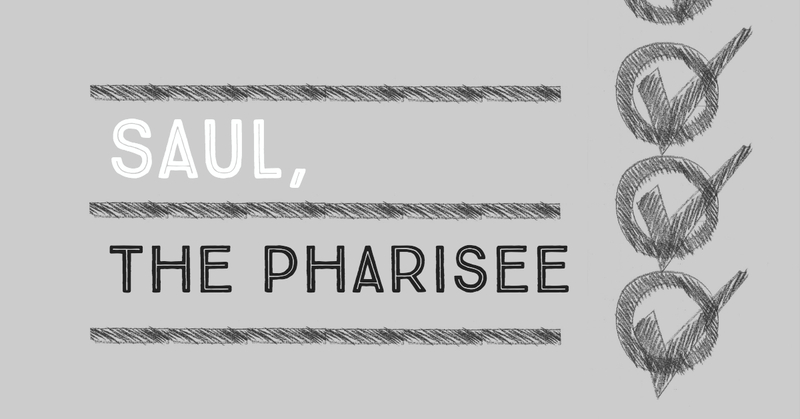 Catch up with Saul, The Pharisee! Any man would be a fool not to envy me. I am a Hebrew, through and through. Born in Tarsus, I was raised in Jerusalem. I cut my teeth on the Law, and was educated in the way of our fathers at the hand of the famous Rabbi Gamaliel. I am of the tribe of Benjamin, and my lineage is untainted by Gentile blood. I hold the Roman citizenship so many covet by birthright. I am truly blessed by God. I am also a Pharisee, set apart, tasked and privileged to discern and uphold the Law as it applies to our people. My zeal and passion for the Way are unmatched. Scores of so-called “Christians” will rot in prison by my hand, men and women alike. Anyone who would dare challenge our holy tradition, or our God, deserves to die. They think that a man has come to fulfill the Law? They are out of their minds! Clearly, God does not stand for such outrage. Why else would he deliver so many of them into my hands? I uphold the inspired word of God, the Torah, in addition to the rich, important traditions our people have developed over generations. I adhere to and help enforce all 600 of our laws strictly, just as I adhere to and enforce our important traditions. Our traditions and our laws work together to pave the way to righteousness. I lead by example, and I expect nothing less than what I myself give: perfection. All one must do is follow the rules, like I do. It isn’t impossible. I do it every single day! And I can thank myself for my own holiness. And God, of course…but mostly, me. I mean, sure, He laid out the Law for us, so there’s that, but all the work I’ve put in, the way I restrain myself from all evil, that is my work alone. I have made myself a good person. I am the one who toes the line and makes sure to keep in step with the holy traditions we have implemented. I am the one who upholds God’s laws. It is I who pursue and punish these Christians who fail to value our Way. Just today, a man, a Christian named Stephen was stoned by my counterparts. I wholeheartedly approved when they laid their garments at my feet. I wouldn’t want any blasphemer’s blood staining my robe, either! So clear. So focused. So…forgiving. It was enough to give me pause. For a moment, I felt like what they were doing, what we are doing, might be wrong, somehow. I’m, we’re, merely upholding our Way, exactly as I, we’ve, been taught. This is the Way. Everything I’ve ever known has been preparing me for this time, this moment. My mission is to scrub the earth of these infidels who would challenge our, God’s, Way. But… If I am being honest.. I know the truth. Truth I’ll never admit to a soul, barely even myself. This weight of perfection, it looms heavy in my chest these days. Day in and day out, I wonder if this will be the day when I will fail and my humanity will rear its ugly head and I will slip up. There are so many rules, so many laws. Sometimes fear grips me because if ever my heart were known by anyone, they would see that though outwardly I am flawless, my heart is empty and cold. And as much as I try to forget, my mind keeps returning to that stoning I witnessed. That man… Stephen. I’ll never forget that moment. That man. Those eyes. That feeling of blood on my hands…. What if God saw him as innocent? The thought makes my insides shudder and I shut it out. As that first stone was hurled toward him, Stephen’s eyes caught mine, and in that instant time stood still. I still can’t shake the sense that he saw right through me. Through my titles and education. Through my citizenship, and bloodline, and associations. Through the facade I have almost managed to convince myself is real. The others, they were so angry. They picked up their stones with religious fervor and righteous anger, I know, but in that moment it felt… Wrong. He saw through everything. And he…forgave? What if there’s something I am missing for all the things I do right?